Fuzzy and Shirley Hennigan of Marthaville recently discussed the upcoming Marthaville Good Ole Days with former Gov. 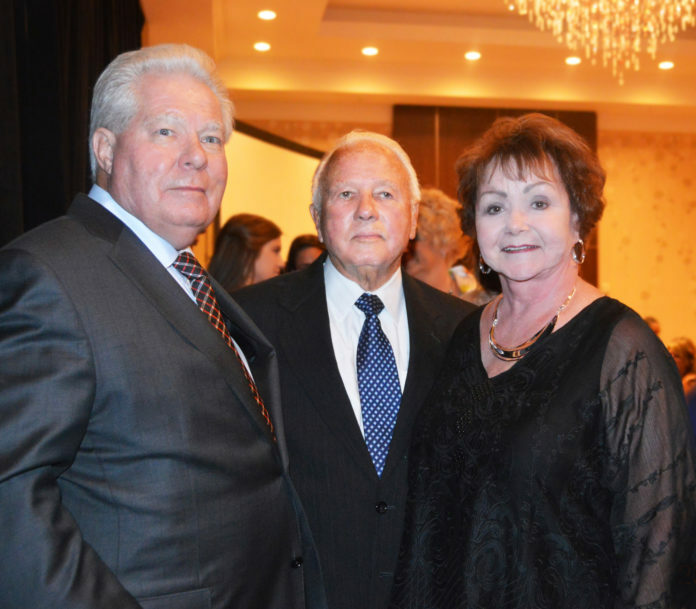 Edwin W. Edwards, center, who will serve as Grand Marshal for the Saturday, Sept. 16 parade. The Hennigans attended Gov. Edwards 90th birthday celebration in Baton Rouge Aug. 12. Former four-time Louisiana Governor Edwin W. Edwards will be Grand Marshal for the Marthaville Good Ole Days Parade Saturday morning, Sept. 16. “We have wanted to have Gov. Edwards for several years,” said Event Chairman Fuzzy Hennigan. “He has agreed to come this year, along with his wife Trina and their four-year-old son Eli, and we are so happy.” The parade will start at 10 a.m. in downtown Marthaville. Edwards will be present at 9 a.m. for recognition on a program prior to the parade. He will then ride in the parade and be featured on a program following the parade. “I am looking forward to being in Marthaville again,” Edwards said. “I visited Rebel Park many times when I was Governor and always enjoyed being up there. I am looking for a pretty day, and I want to see all my friends in that area again.” He and his family will be available to visit and take pictures. This year is the 25th Anniversary of Marthaville Good Ole Days. “It seems impossible we have been going on that long,” said Hennigan. “We certainly want to invite everyone to come out for this anniversary event.” The activities will start on Friday, Sept. 15, with the annual “Gospel in the Park” event, and continue with “Good Ole Days” through the day on Saturday. In addition to the parade, there will be singing, arts and crafts vendors, several concession stands, talent competitions, the presentation of local beauty queens and other events.